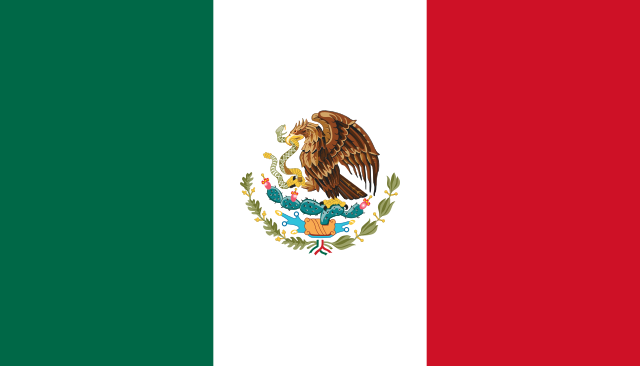 Mexico (/ˈmɛksɨkoʊ/; Spanish: México [ˈmexiko]), officially the United Mexican States (Spanish: Estados Unidos Mexicanos ), is a federal republic in North America. In pre-Columbian Mexico many Mesoamerican cultures matured into advanced civilizations such as the Olmec, the Toltec, the Teotihuacan, the Zapotec, the Maya and the Aztec before first contact with Europeans. Mexico has one of the world's largest economies, it is the tenth largest oil producer in the world, the largest silver producer in the world and is considered both a regional power and middle power. A country in North America. Official name: Estados Unidos Mexicanos (United Mexican States). (rare) An alternative name for Mexico City. A state in Mexico. Capital: Toluca. France was already on the way out of Mexico when he intervened, and his fullhanded shove only accelerated the retreat. Her years of Spanish classes finally paid off when she found herself in Mexico and realized she could communicate with people. Meaning of Mexico for the defined word. Grammatically, this word "Mexico" is a noun, more specifically, a proper noun.